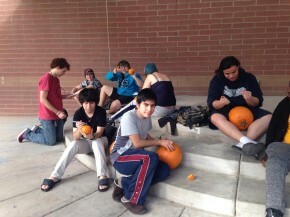 So today out in the quad Student Government put on one of their yearly events, The Pumpkin Carving Contest. 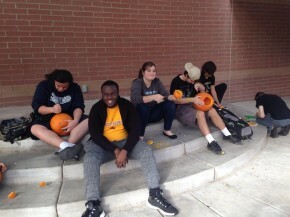 This is a great activity for students to participate in because StuGov provides a whole bunch of pumpkins and carving supplies for students to have fun. I have seen so many different kinds of designs outside it's great! Many students have decided to print out stencils for their pumpkin designs. I'll also put some awesome links to pictures that are great to print out for all of your nerdy pumpkin needs! Last but not least one of my favorite past times was a couple years ago. My dad has always participated in pumpkin carving contests at his jobs. 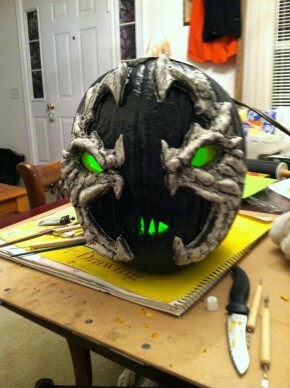 He has always made these really cool pumpkins based on character or other things. 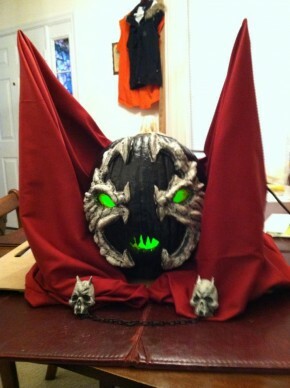 First he did a Spiderman, another time he did Iron Man, and my absolute favorite idea he had was to make a Spawn pumpkin. 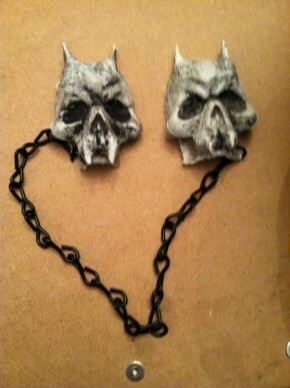 I helped him a lot with buying clay and sculpting Spawns mask and adding some extra details to the other props we bought. 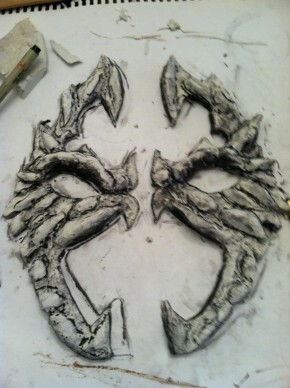 I'll post the progress pictures as well as the final piece below. That's all for today. Happy carving!